Is Hong Kong Not Doing Enough to Protect Its Whistleblowers? Does Hong Kong Protect It’s Whistleblowers? 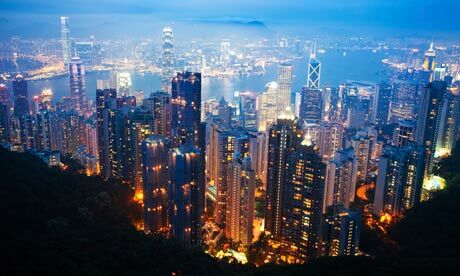 Hong Kong is one of the major business capitals of the world, with a reputation for investigating and persecuting cases of corporate corruption. But when it comes to whistleblower legislation, Hong Kong is just not cutting it. According to a recent editorial in the South China Morning Post, the special administrative region is slacking in comparison to other jurisdictions’ legislature for protecting whistleblowers. Though Hong Kong Exchanges and Clearing has made efforts to help corporate whistleblowers in the past two years – encouraging businesses to establish a policy that would enable their employees to report any suspected wrongdoing – there still isn’t any legislation in place that would protect these potential whistleblowers. Conducted by Ernst & Young in 2012, the Global Fraud Survey found that with the tough economic environment that still persists, bribery, corruption, and fraud will continue to be major problems that plague today’s businesses. In fact, as a different survey conducted by the Association of Certified Fraud Examiners (ACFE) reported – around the world, corporate fraud is costing businesses around $3.5 trillion each year. However, the important of whistleblowers in counteracting this global threat cannot be underestimated. The ACFE’s survey also found that 43% of fraud was discovered through a tip – and the majority of these tips came from employees within the company. What Does Hong Kong Need to Do To Protect Its Whistleblowers? Employees are often afraid of that blowing the whistle in the workplace – specifically, their managers – will have serious consequences for their careers. Any legislation that Hong Kong introduces to protect their whistleblowers would need to ensure their job security. In addition, the legislation would need to cover breaches of confidentiality. In cases where professional advisers learn about inappropriate behaviour within the company, fear of breaching client confidentiality would keep them from blowing the whistle. Companies will often be wary of implementing a whistleblower policy due to concern for costs and the possibility of frivolous claims. However, such claims are nothing compared to the potential fortunes they could lose in cases of actual corporate fraud – not to mention the damage to their reputation. Having an independent certified ethics reporting system such as Whistleblower Security by your side can go a long way to preventing such losses. And the whistleblower certified ethics reporting program is a very small investement to organizations and delivers very powerful results that will enable business success.